My residency at The Cube concluded last month with the opening of my piece The Changing Room. How would you like to feel? 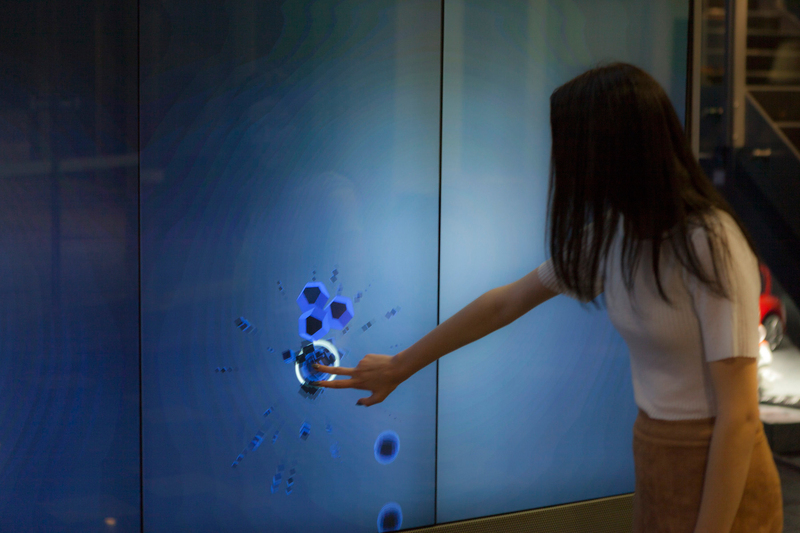 What if you could make it happen with a touch of a screen? What would you do with complete control over your own emotions and those of the people around you? 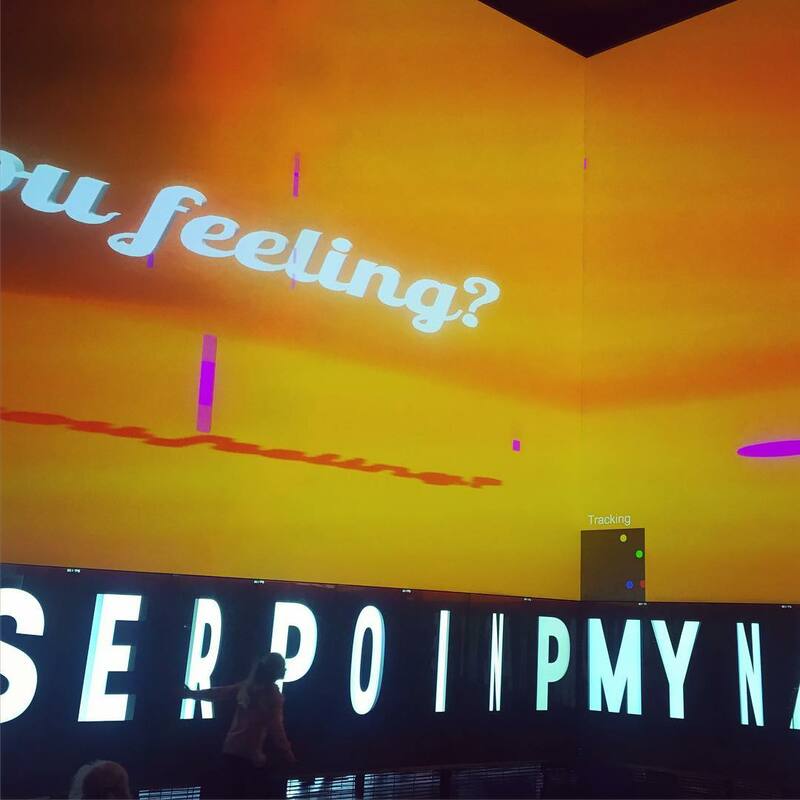 The Changing Room is a custom software installation and performance that allows participants to select one of hundreds of emotions, evoking that emotion in them and everyone in the space through a layered environment of light, visuals, sound, text, and interaction exhibited over a multi-level, many-sided display. Dealing with themes of surveillant architectures, social technologies, and smart homes, the piece simultaneously invades and cares for the emotions of passersby. 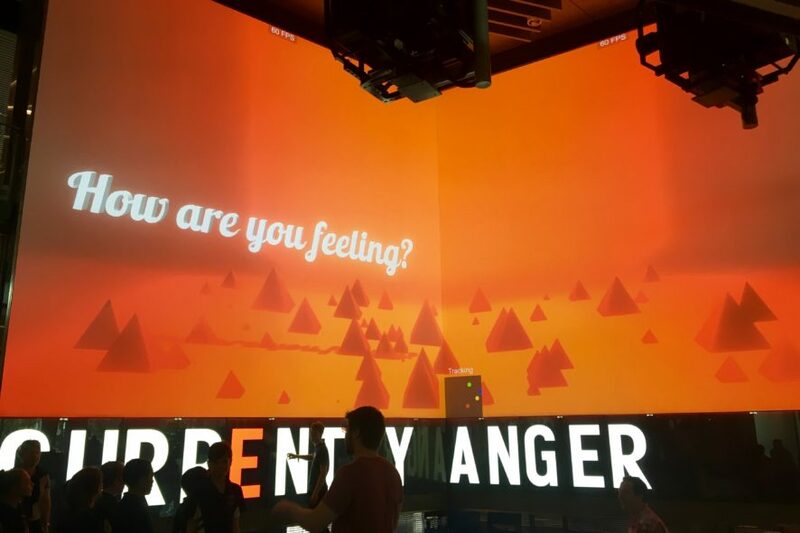 Upon entering the main space, you are confronted with the question, “Do you want to feel?”, and you are given the opportunity to select the emotion you’d like to experience. The Changing Room then gets to work trying to make everyone in the space feel that emotion as intensely as possible. 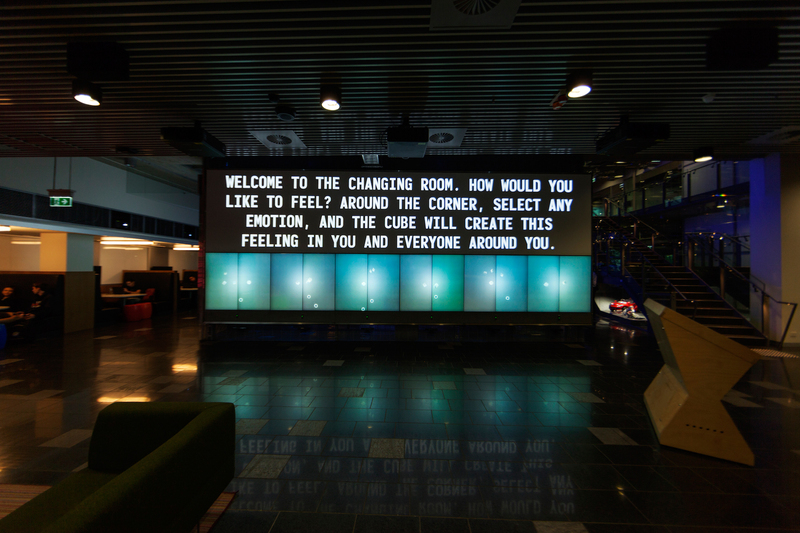 Every zone of The Cube becomes active with different instructions, graphics, and activities that it guides passersby through. 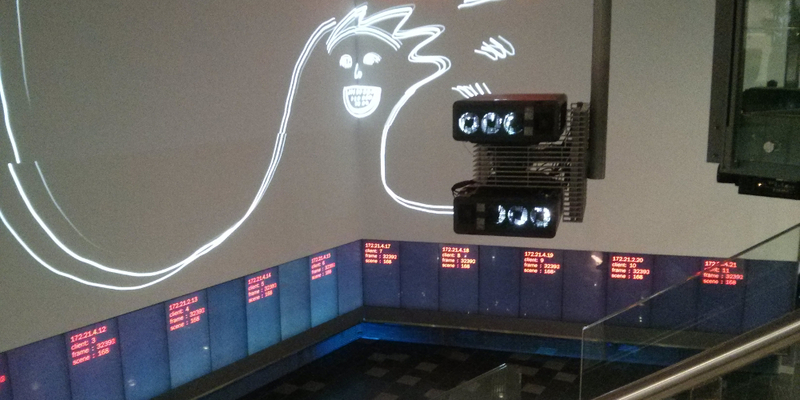 In one zone, your voice is interpreted as animated objects moving around the screens. If you touch them to pop them, a command is released instructing you to “hug the person next to you”, or “curl up into a ball”. People in the booths are confronted with a monolithic block that slides back and forth roulette style, randomly choosing a booth to light up with an instruction intended for that group. On the second floor, your body position is analyzed as you’re guided through a series of positions and contortions. The process of assuming the various positions is designed to evoke the emotion that’s been selected in the main space. In another zone, ambient sound and voices are picked up by a series of microphones distributed throughout the area and analyzed. Depending on the currently selected emotion, you are instructed to adapt yourself to “share your feelings”, “calm down”, or “express more joy”. The opening was accompanied by a special performance and dinner during which participants were fully immersed in The Changing Room. Performers took cues from The Cube and worked to amplify the emotions and guide conversation around themes of surveillance and social technology. The evening concluded with a series of toasts to the future. While participants felt a mix of hope, fear, and ambiguity, I think we all left with a sense of open curiosity and questioning. 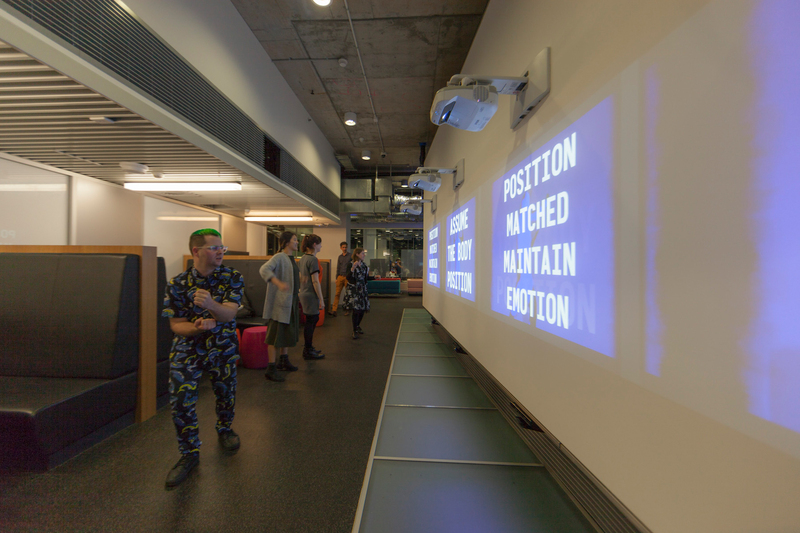 The Changing Room was created in collaboration with Sean Druitt, Ryan Bargiel, Allan Bishop, Samuel Collins, Daniel Fisher, Simon Harrison, Brian Jeffery, and the rest of the QUT Cube Team, and Andy Bates and Yu Kao. Performers included Viv Coburn, Brittany Hurkmans, Jacob Nye, Tiffany Symons, and Jackie Taylor. 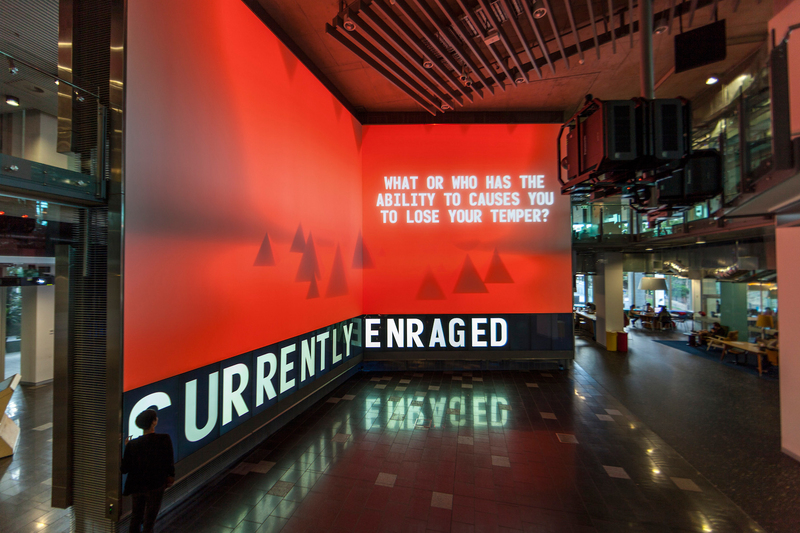 This project was completed as part of a TRANSMIT³ Residency at The Cube, QUT. 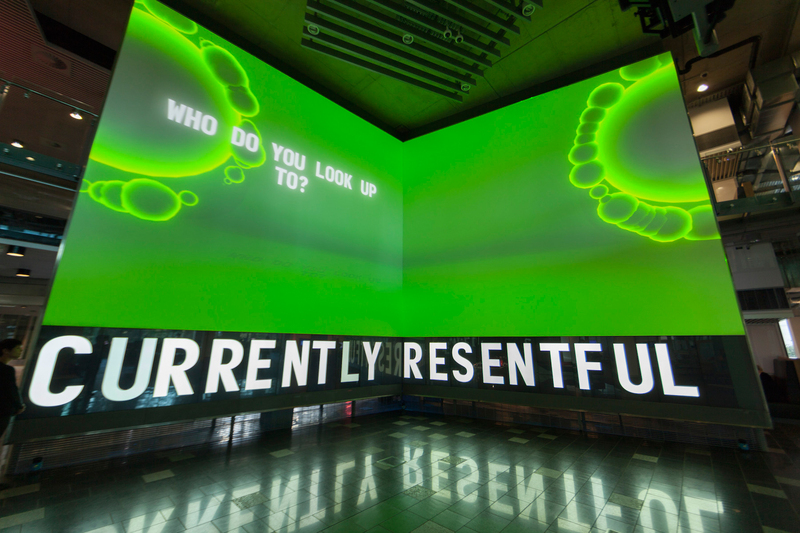 The residency is presented by Ars Electronica and QUT. Thank you QUT for having me and supporting this project! I am back in the states now and missing Australia already. Ars Electronica Q&A with Lauren McCarthy about her Transmit³-Residency: The Changing Room. 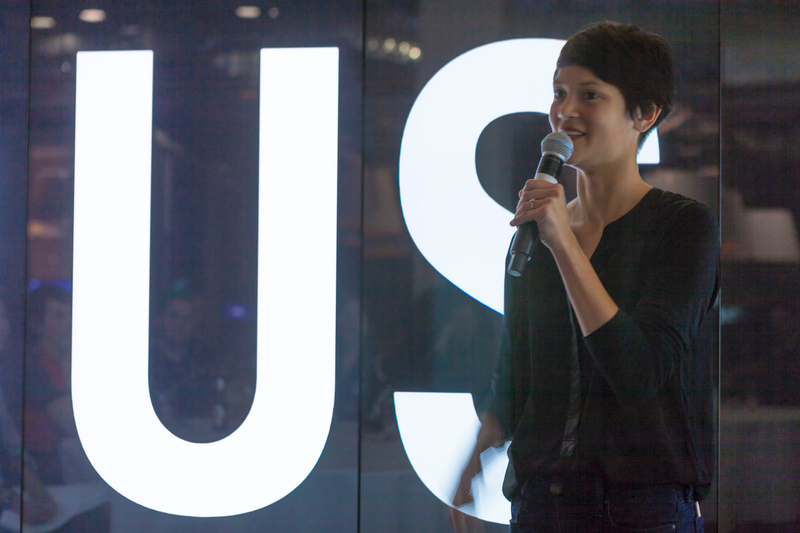 Designer, artist and programmer Lauren McCarthy explores the structures and systems of social interaction, identity as well as self-presentation and the potential of technology of how it can influence the dynamics between those traits. During her Transmit³-Residency she wanted to find out about the influence of Big Data on the togetherness in front of The Cube. Hi, Lauren here. I’m wrapping up my two month TRANSMIT3 Residency at The Cube and next Thursday 11 August will be the official opening of the new piece I’ve been working on with the team. 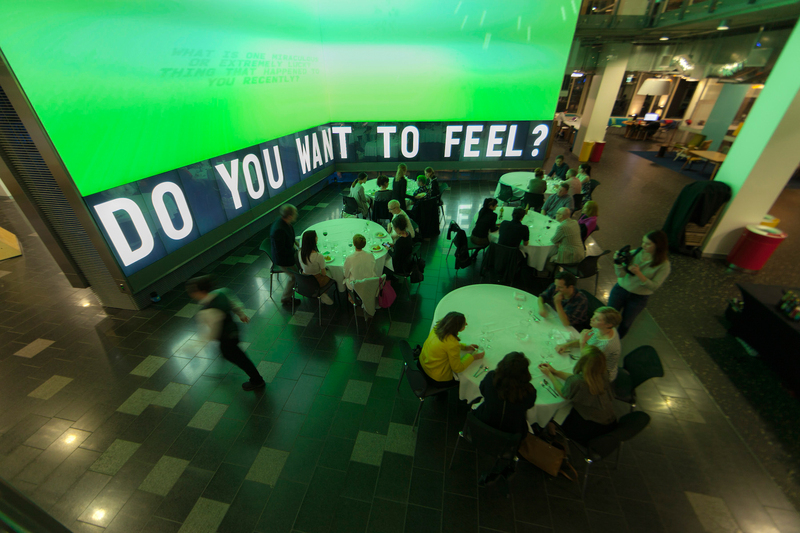 The event will feature an interactive performance installation in which we dine together in a near future where we change feelings like channels on a TV, swipe left for nostalgia, swipe right for glee, and follow each other as The Cube tracks us all. Stay tuned for my last blog post which details how this event plays out. It’s been a busy few weeks at The Cube. I started with a few workshops with kids thinking about ‘homes of the future’. Participants imagined the toys they’d play with, clothes they’d wear, rules they’d follow, and robots that would serve as caretakers. 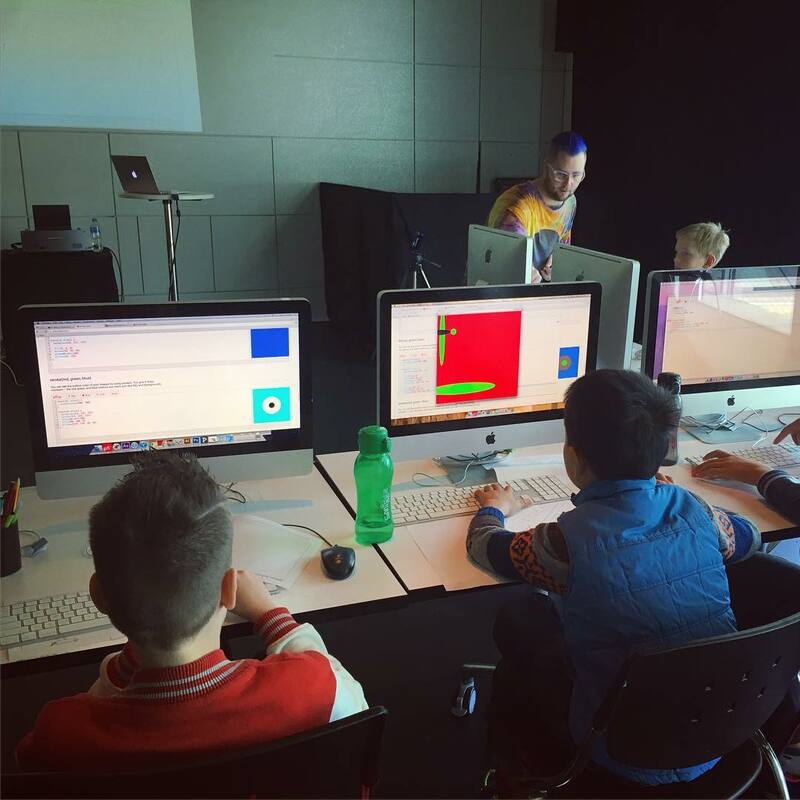 They learned to code using p5.js, a platform for building interactive artworks online, and built their own rooms of the future which we combined into a one big apartment building. While reflecting on things learned in the workshops, I also worked with The Cube team to rig up The Cube space with extra sensors and create a system that links all the zones of the space with the data being collected as people move through it. We started with some basic tests to see how it felt to control the movement of objects on the screen with our bodies. After some experimentation, I landed on the idea of turning The Cube into a sort of emotion machine. People will be asked to determine how they would like to feel, and The Cube will get to work molding the feelings of everyone around it into the desired emotion. We began with some tests of the interface to select emotions. I want it to have the feeling of an ice cream store with hundreds of flavors. Each one you pick brings on an entirely different sensation. In the next few weeks, we’ll be developing the content and interactions much further and I’m planning a final performance that will happen over dinner at The Cube next month. It’s our 3rd birthday and as with most birthdays, it got some of our staff thinking about the year that was. This week we’ll hear from Cube Studio Manager Sean Druitt about some of the team’s highlights from 2015. So as you can see we were super busy in 2015 working on many projects… and this is what you can expect from us in 2016! And stay tuned for more highlights from our Public Programs staff next week. 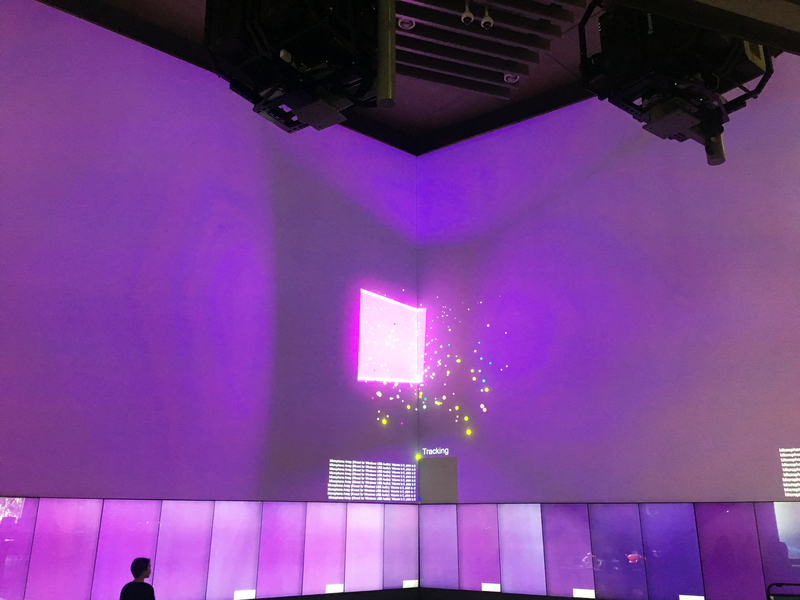 Building on The Cube’s ongoing partnership with ARS Electronica, and to celebrate the success of the Soul of the Cube project collaboration, a number of the Cube team were invited to attend this year’s ARS Electronica Festival in Linz, Austria. The Cube’s Studio Manager, Sean Druitt, reflects on his awe-inspiring experience at the festival. 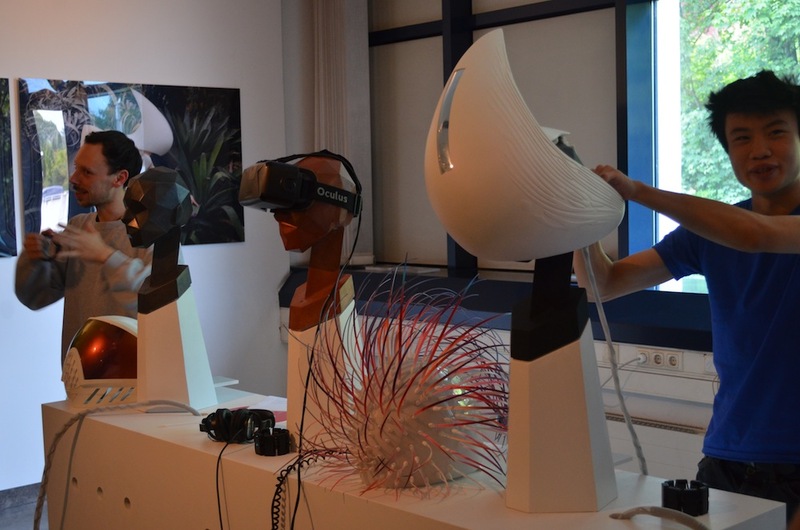 Sean: We were very fortunate to be able to attend this year’s ARS Electronica festival. The festival itself is a visual feast sprawled out across the city of Linz, day and night. The main centre to view all of the awesome works was in a building, aptly named “Post City”, which was the decommissioned mail distribution centre in Linz. A robot that would scan to see if you ran out of popcorn, and if you had, then it automatically makes you more popcorn! Video games designed specifically for users with a physical disability. Did we already mention the popcorn making robot?! Argh, so much cool stuff to see! We were also lucky enough to receive a private tour behind-the-scenes of the ARS Electronica Center offices, R&D labs, museum and the incredible 8K Deepspace. We also gave a presentation about the Soul of the Cube project to a large group of festival attendees. It was a great trip that filled us with enthusiasm for future possibilities on The Cube! The Cube is excited to welcome its newest Ars Electronica Futurelab TRANSMIT³ resident, Friedrich Kirschner, who will be teaming up with the Society for Cultural Optimism to simulate an alternate reality through social interventions, performances and interactive content on The Cube. For Friedrich’s TRANSMIT³ residency, they will investigate a time and place in which The Cube transforms the everyday as a conduit to the virtual, and they will invite the public to help in their research and implementation. 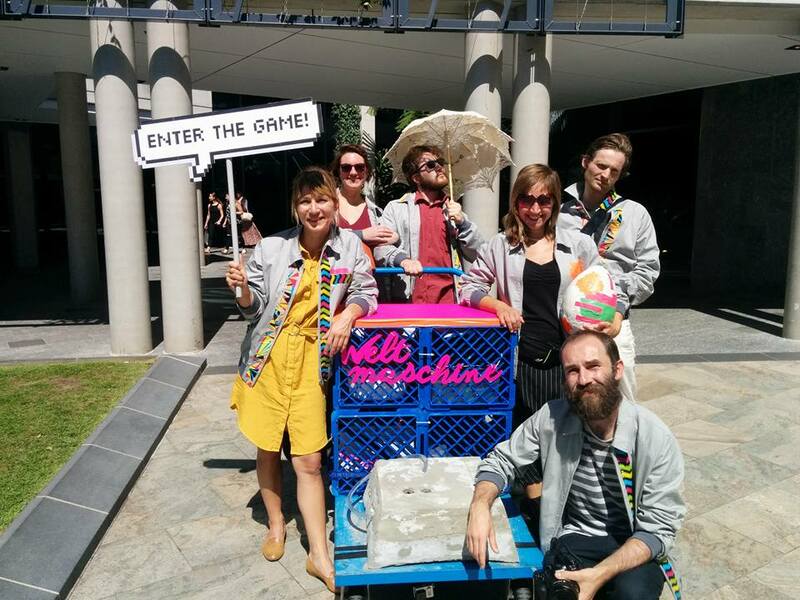 As part of their research, the team set up a base camp at Robotronica late last month. Friedrich: During QUTs Robotronica festival, we had the opportunity to establish our first expeditionary base camp. Using our newly constructed Weltmaschine, a device that helps us simulate possible future realities, we encouraged visitors to share their thoughts on technological development and possible future scenarios. From the data gathered, and using the Weltmaschine in its first incarnation, we generated a poem of the future. In December last year, Zachary Lieberman returned to The Cube to continue work on his project as part of his TRANSMIT³ residency. 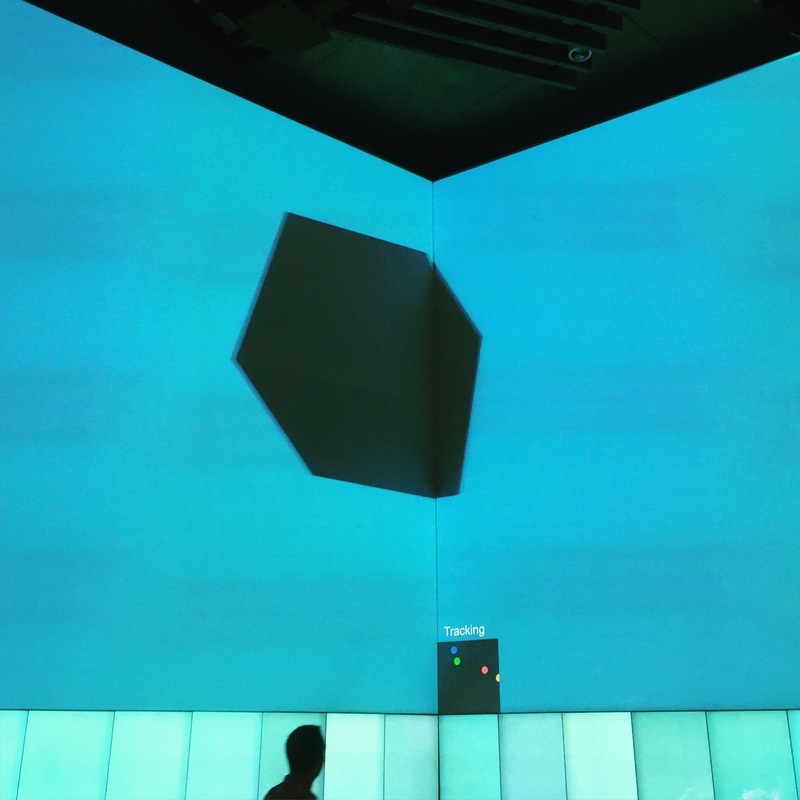 In this project he aims to present scientific content on the enormous canvas of The Cube, where visitors can use a particular mechanism to zoom the image on the virtual wall in or out. 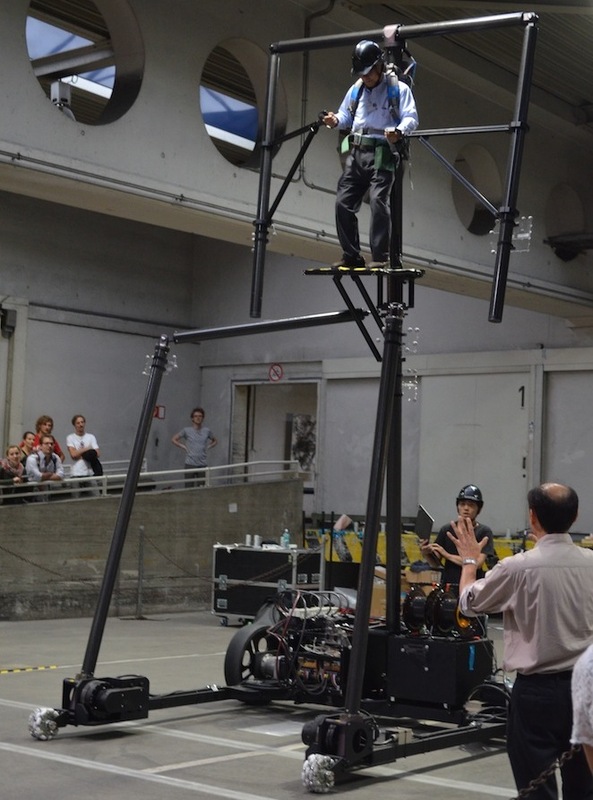 In this interview with ARS Electronica, Zach Lieberman and Lubi Thomas, Senior Curator at QUT, talk about the recent steps in the project. How is it to be back? Zachary Lieberman: It’s great to be back, to eventually be jamming and testing with the wall and to get a feeling for the infrastructure. It feels also great meeting the students and researchers again and being able to really explain what this project is. Zachary Lieberman: I have whittled it down to a hand wheel, which is basically a kind of a wheel with a crank. We’re using a medium-sized one. It’s a wheel that you spin and thus it has a very physical action. It’s not like a lot of things that you interact with like touchpads and smartphones, where you touch with your finger which is quite a small movement. This thing is actually a real serious movement, it’s like stirring a pot: you know you’re doing something. I really like this tool because it’s heavy. That means there is an actual feeling like you are physically doing something. Where will this wheel be situated? Zachary Lieberman: We are going to build a podium. The podium is going to have that hand wheel on it as well as an iPad. The iPad will display content about the researchers. As you zoom, it will kind of give you some feedback and when you get to a specific work, you kind of dig deeper and see what the researchers are about and read texts about what they are doing. I was quite worried that it’s going to be too small because The Cube is such a big environment, but the prototype actually feels quite nice. We have been holding it while walking around and watching each other. In general we have got a good feeling that this is going to work and we can figure how to use it. The mechanical element I think is pretty much solved. There is still some work to do from a technical perspective, e.g. getting the data from the hand wheel into a computer, where we have to use some sort of sensor, like a rotary encoder magnetic sensor, some sort of positional sensor for the hand wheel. Lubi Thomas: I really like how the crank is reminiscent of some of the really big microscopic and also telescopic mechanisms. It’s literally the same object, which is kind of amazing considering how long that has been around. Zachary Lieberman: It has a camera-operated point focus. There is an aspect of something similar to pulling or rotating, something that brings things in and out of focus and I think that relates to a lot of different often-used practices. 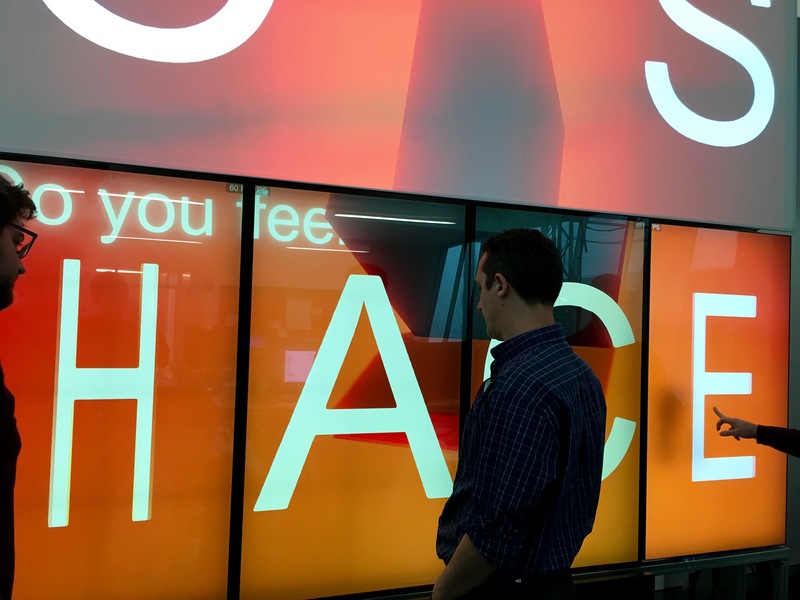 There’s a lot of different ways you can interact with The Cube system: there are these touch screens, there are the Kinects, and all of these potential ways of designing something new. But I think sometimes if you reduce the interaction point you can make it a more sensitive exploration. The hand wheel is not about a complicated system that you’re figuring out and learning how to play with, but actually it is super intuitive as you know how a hand crank works – I’m zooming in, I’m zooming out – you know it’s like that and this is what I like about it. We live in a world of very virtual interfaces, lots of buttons and lots of options. Though, especially now, it’s quite important to actually have simple physical interactions and really highlight that. The next question concerns another challenge we tackled in our last conversation. Have you developed some ideas on how to cope with the size and the speed of the zooming? Zachary Lieberman: I’m working on this and feel pretty confident with the interface but I’m still testing. We still have some more testing to do, but I feel we’re going to get it. And I know from previous projects on the Cube that flipping and turning fast makes people sick. I think it’s the camera movements that are problematic but things can animate quickly. But a main reason why you get sick or the reason that it affects you is that you are perceiving motion and your ears are not, because the body is not moving. So there’s going to be some limitation on dramatic movement. Let’s talk about the collaborative part of your residency now. 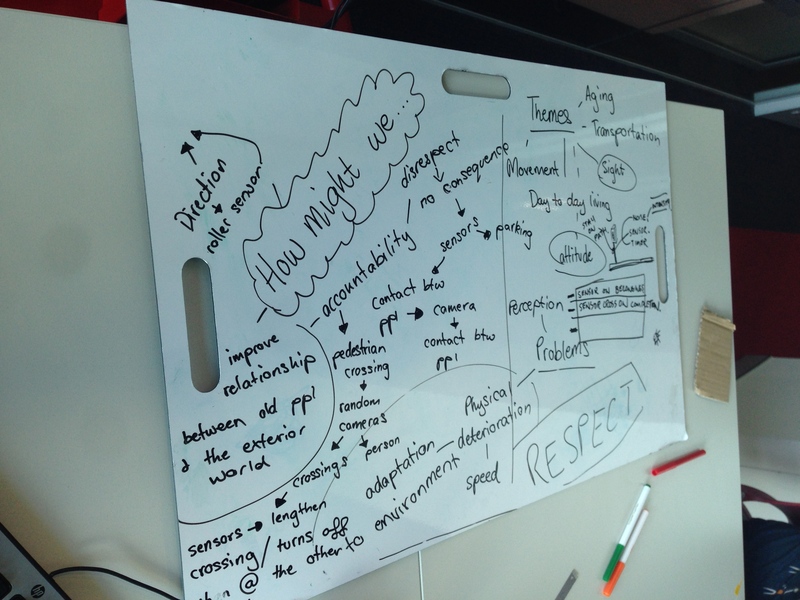 How do you work with the students and the idea of the micro commissioning phase which is going to be happening soon? Zachary Lieberman: The students have done an amazing job of collecting data from these researchers and specifically getting them involved in a conversation, of doing the outreach, gathering the data, collating it, and trying to figure out what scale these researchers are working at. I think for many of them it’s been great to learn about what’s happening at the university. It’s kind of a weird challenge to actually go talk to the people that they would never talk to. I’m super excited by the material that they have produced and some of them have been around this time when I’m out. The micro commissions is the next step to identify artists within the community and outside of the community, which we think could be a really sympathetic fit to the research. 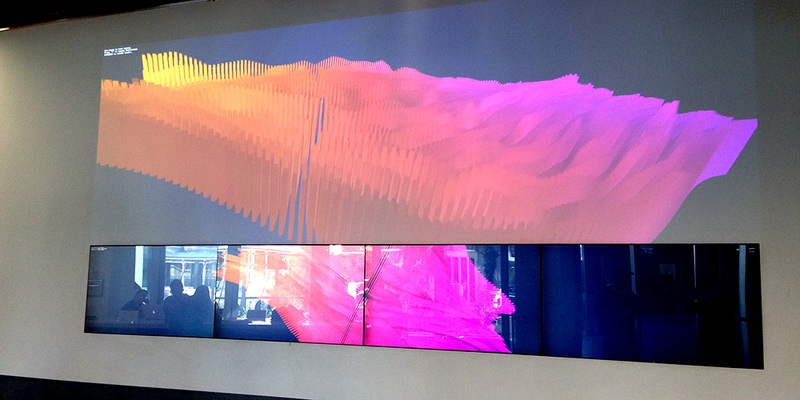 The artists are then brought together, each with a scientist to create visualizations for The Cube together. I think that this is a kind of a matchmaking job that’s going to happen very soon. There’s a lot of magic that’s going to come from that process. Lubi Thomas: It’s really nice, some of those researchers seem very enthusiastic now since Zach’s talks. I like the fact that unsurprisingly it’s turned into a community. So you are building a community around a single project and you are also linking researchers together who haven’t met each other before. Zachary Lieberman: I think there are art projects that are about the story the artist wants to tell, and then there are art projects that are more sort of system-driven. Here we have something that is really systems-orientated and we can create a system that involves – no, it needs – people to come to. This project really needs researchers, it really needs other artists. And I like that. It’s like having a party. Last but not least, is there a plan yet for which scientific and research content you want to show? Zachary Lieberman: We definitely have a short list. We have not identified the exact ten, but there are ones for whom it’s really obvious and clear. Researchers that are looking at the structure of materials, looking at what for example graphene – these are honeycomb-shaped carbon atoms – looks like to an electron microscope and those kinds of incredible visuals are what we are looking for and what we can choose from. Especially looking at the edge of how we can look at materials seems to be really interesting. And there is a researcher who is focusing on printing the body. So he asks questions like how do you print a tissue or how can you print elements of the body? And there’s an art researcher focused on restoration of natural environments and ecology. We do have a pretty good short list. It’s not one hundred percent settled yet, as I think there are some open questions concerning scale to make sure we have enough research represented on this sort of far end of the stratum: the macrocosm versus the microcosm. 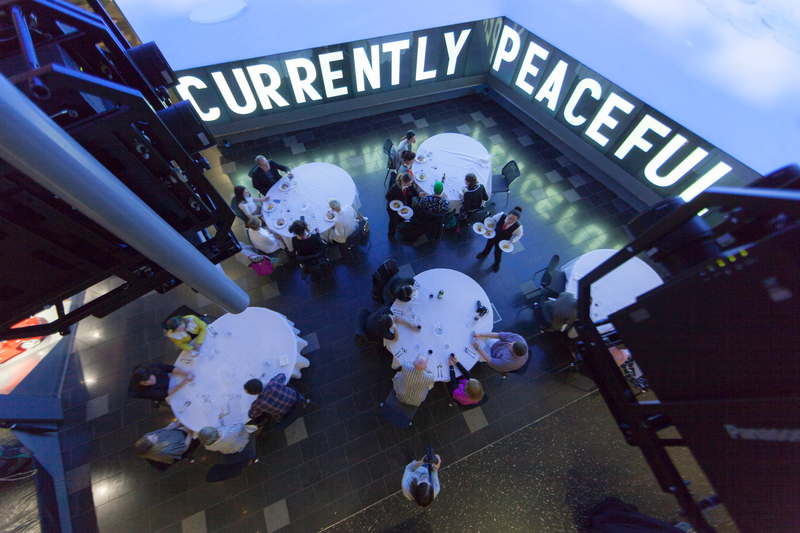 STEAM is a framework for learning and teaching, and one that underlines The Cube’s public engagement programs. 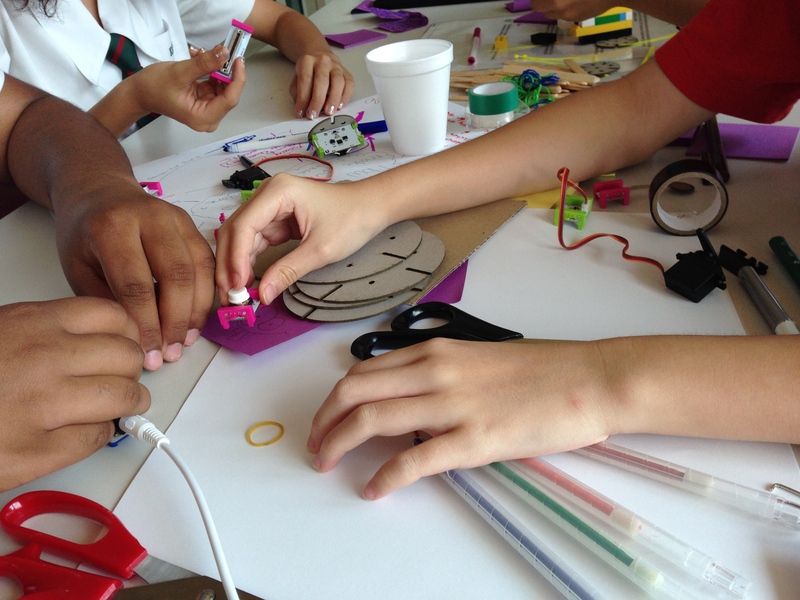 The STEAM framework supports self-directed, hands-on learning, exploration and experimentation, connecting to broader ideas around the Maker movement and design thinking. In our increasingly interconnected world, it also provides an opportunity to engage in critical and creative thinking, and to consider different ways of responding to real-world challenges. 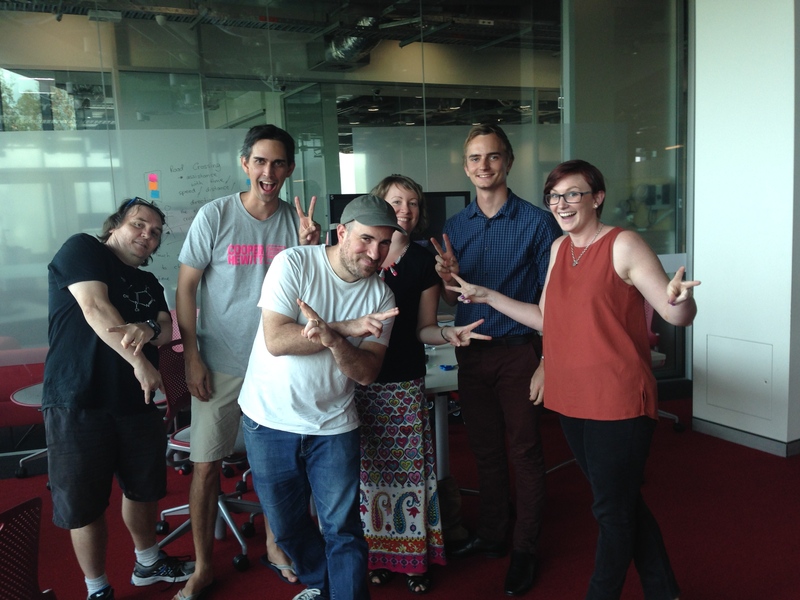 Last week, a group of teachers from Kelvin Grove State College visited The Cube to explore STEAM. 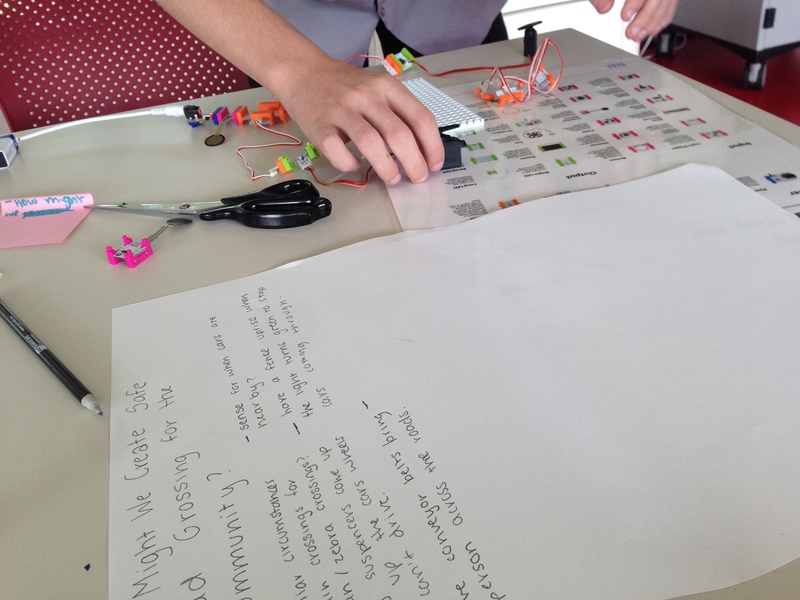 The teachers spent the morning exploring the potentials of littleBits as a tool for learning by responding to the challenge: how might we use littleBits to create an age-friendly city? In a STEAM kind of way, they worked collaboratively with colleagues from different teaching areas (Chemistry, Physics, Arts, Design, English, Maths) to respond to the challenge. This involved getting to know littleBits, identifying the problem, reframing the problem as an opportunity, brainstorming new solutions and prototyping their ideas using littleBits. The challenge was inspired by the World Health Organisation’s ‘Age-friendly Cities Framework’, which identifies some of the common barriers to accessibility of older people. 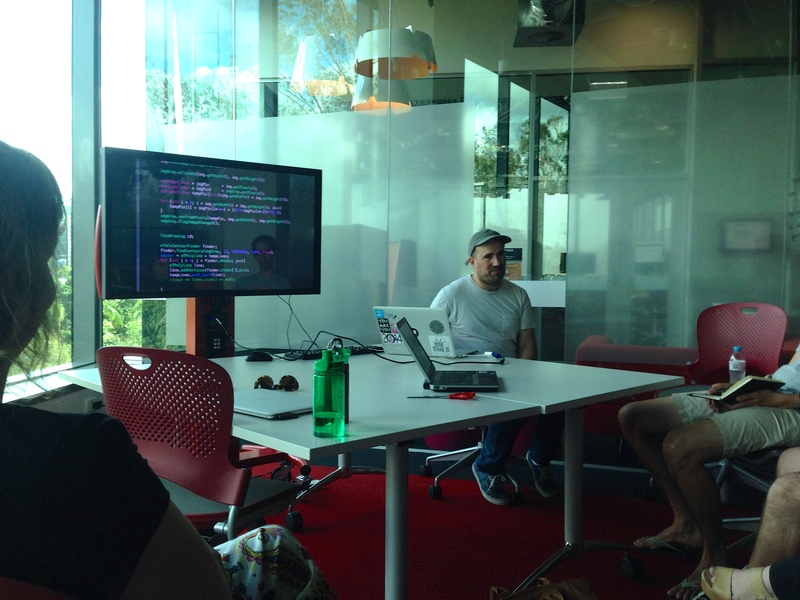 Later in the day, the teachers were introduced to the basics of Arduino by one of our ARS Academy students. A highlight of the day was hearing from Zach Lieberman, who was in Brisbane to make further progress on his residency project for The Cube. Zach spoke with the group about his practice and experiences crossing boundaries, blurring distinctions between art and technology, and the disservice of dividing disciplines at a tertiary and school level. He spoke about artistic practice as a form of research and development, and way of thinking of possible futures for humanity. As one of the co-founders of openFrameworks, he also spoke about the benefits of the open source movement (think: Arduino, openFrameworks, littleBits) as enabling a culture of collaboration, playing together, experimenting and jamming. Interested in learning more about STEAM? 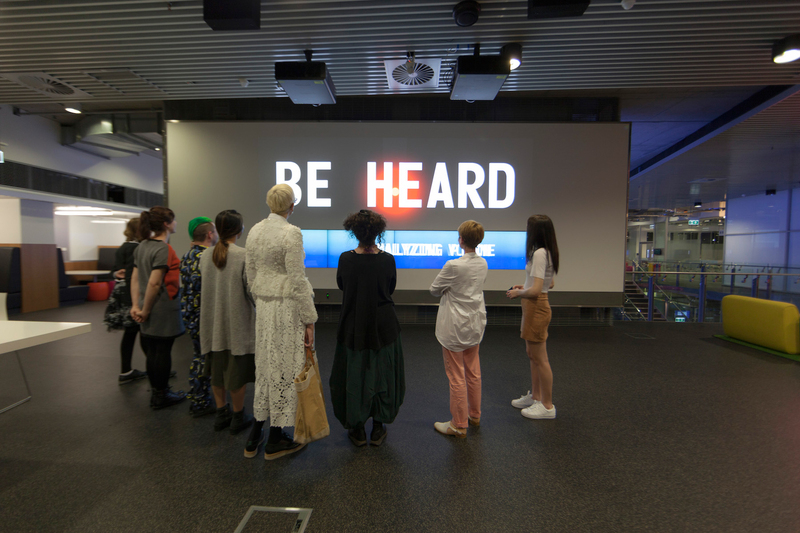 In 2015, together with the Queensland Museum, and kuril dhagun, State Library of Queensland, The Cube is hosting a two-day, professional development activity for educators called ‘Creative Lab’. Creative Lab will enable educators to explore new ways to engage students with STEM content through the creative learning framework of STEAM. For more information, visit our education page. Image thumbnail: prototype made by Christian McKenzie in response to the challenge using littleBits. 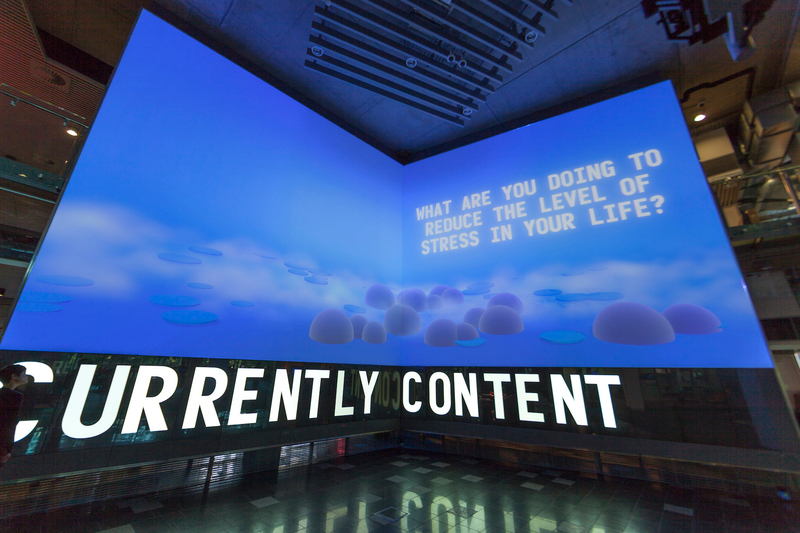 Zachary Lieberman, Cube Resident and Lubi Thomas, QUT Senior Curator – digital media, talk to ARS Electronica about what inspired them about this project. 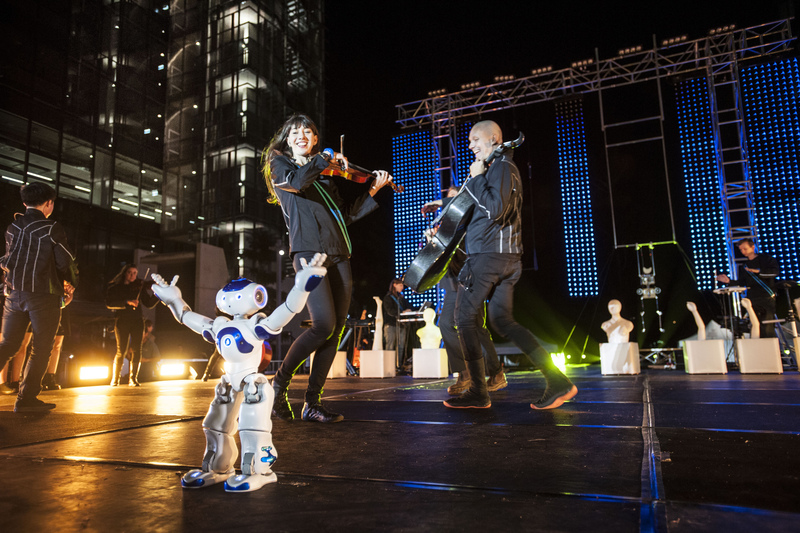 Lubi, what do you think is special about TRANSMIT³, the joint residency Program of QUT and Ars Electronica? What is your perspective on it? Lubi Thomas: TRANSMIT³ is a project about possibilities that enables innovation and inspiration in our residents, participant students, research communities and general publics. TRANSMIT³ is about bringing elite practitioners to The Cube and through their projects exploring the capabilities of The Cube as both a hardware/software object and also as a site for public engagement, discovery and inspiration. We hope that The Cube affords our residents an opportunity to extend their knowledge as they tackle the challenges and possibilities that this site offers. And, in turn, the outcomes of resident’s projects help to expand our vision of what is possible with The Cube. 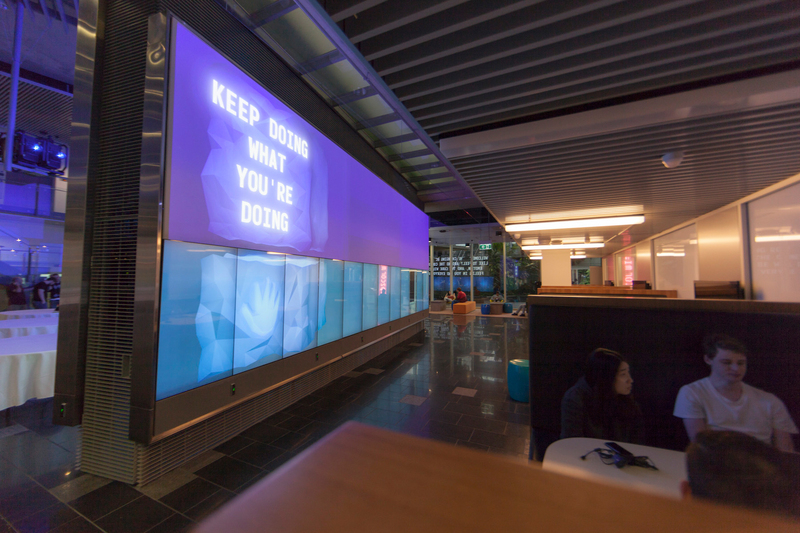 It’s all about discovery, knowledge sharing and creative invention expanding our ideas of success at The Cube. Zach, why did you decide to participate in the TRANSMIT³ residency? Zachary Lieberman: First of all I was very interested in the residency because it was with Ars Electronica that I have a long history with and experience with and because QUT is for me a really exciting place to be. It seems like a really interesting university and there is a lot of unique research happening there and interesting people. As soon as I got to know Lubi Thomas, who is curating The Cube, and the rest of the team there I really felt like it’s going to be a great space to come and visit. 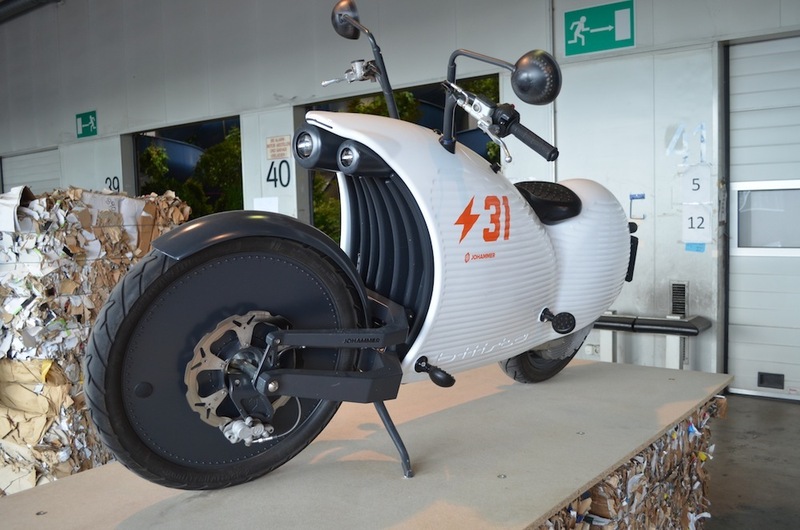 And what inspired you about this project? 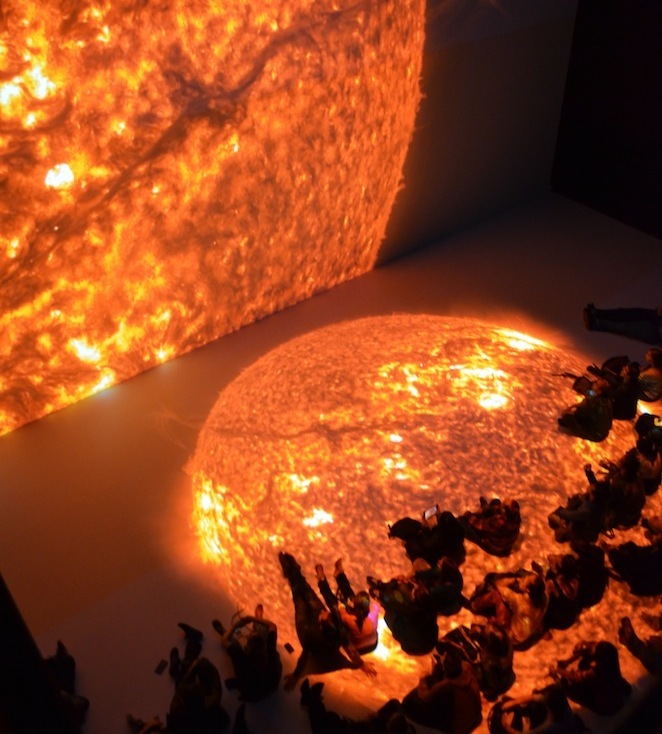 Zachary Lieberman: What inspires me about this project is that it is an opportunity to create an artwork but also connect with different scientists and researchers that are working within the university. So the nature of this project is that it’s going to be a kind of mechanism for having conversations with the people on the university beyond the people in this building around The Cube but actually around the campus and other campuses. For me it’s really exciting to connect people. Lubi Thomas: I like the way that you are utilizing a project for The Cube, which is in the Science and Engineering building, as a way of actually creating tentacles and some pathways out into what is a massive university community, a lot of whom never come into this space. So you are giving them connections that start to make The Cube relevant to them. I think that that’s an extremely strong idea. Zachary Lieberman: You know The Cube itself is really large; from photographs it seems quite large, but being here it’s impressively large. 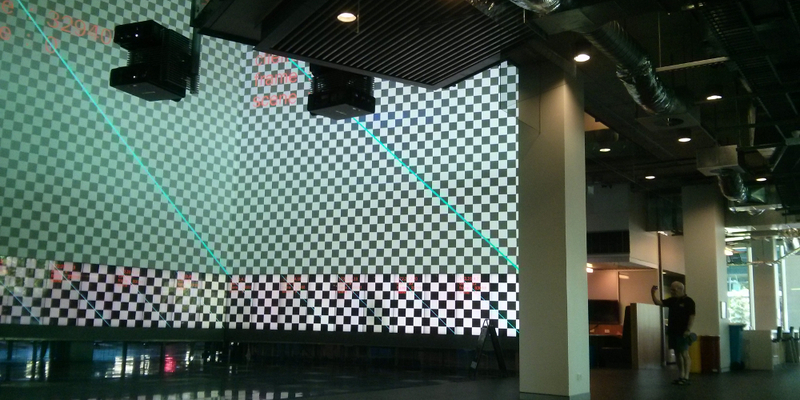 It’s a two-story projection and LCD display. For me it’s an enormous surface. And I have to ask the question: what does it mean to have this kind of surface in the environment that you are in? Especially as it is not in an empty building, but actually there are hundreds of students in and around it. The building is quite active and you see students studying and talking and working in this space. What does it mean to have this kind of thing that we are basically living around? For me this makes it really exciting to create something because it’s going to be creating an artwork on a single display in a corner in a back room, but that is a kind of a hub or a centre for the building. Especially as architecturally the building seems to go around The Cube; it flows around it. The final outcome of my work will be something everybody is confronted with and is living around it. Lubi Thomas: Also there is a really interesting aspect about it which is rare, I think, for a university: it actually turns into this public space as there are lots of families and kids that come here as a destination. I think that is a nice opportunity to create something where you have got these diverse and unknown audiences. Through the project you intend to communicate something about the university that is often not communicated, even to the undergraduate students. It certainly is a challenge to communicate these topics, questions and research outcomes to the greater general public, stating what we do here at the university. Your project is really tackling that. Zachary Lieberman: It’s going to attempt to at least try to identify one of the key questions that is being asked here at the university: what does this research mean? How do we tell the story of what’s happening here? Universities publish magazines or publish websites and there are ways to tell the story of the work in a very straight forward way, even in a kind of PR or news sense, but my project at The Cube is a very interesting, unique and pure way to tell the story of what’s happening here, to create responses, and to really explore the fundamental questions that researchers are asking. It also shows what an artistic response to these questions looks like. Maybe the one question we explore is about black holes or mapping the genome or trying to come up with a model of the brain or trying to understand how cells work or understand how atoms work. Those questions are interesting and meaningful and profound. I think they make great starting points for a conversation, for artistic conversations, and great starting points for people to work visually and to create, through a movement and through interaction, responsive forms that attempt to show these questions, possibly even show answers to these questions. Lubi Thomas: Above that, describing in another language is really powerful. Therefore the content of the research has to be thought differently and described in a new language – may it be in a non-scientific structure or even visually. Some people can consume ideas easily and make sense of information through reading different kinds of texts but for others it actually is the visual language as well as the visual or an emotive response that gives them the hook into being able to understand what the research is or what the questions is that are driving research projects. The vision of bringing those different spaces and kinds of expression together is something that The Cube is really about. Moreover, The Cube is about bringing individual or independent disciplines together, to create intersections and spaces where things do well that often don’t do well together. So, what do you think is the biggest challenge for this project? Zachary Lieberman: The biggest challenge with a project like this is that there are a lot of stakeholders and a lot of people involved. Part of the difficulty is that I’m coming from really far away and I’m here for a short period of time. So there’s a lot of alignment that has to happen between different people and different interests. That’s the challenge. I think that also the distance presents some interesting and hard challenges about communication because New York and Brisbane are about 12, 13 to 14 hours away from each other. That distance tends to make communication go a lot slower. For example, you are writing an email and wait a day to get a response and wait a day and so on. But it also, I think, has kind of an interesting quality to slow down communication. Maybe you take a little more time for responding as your words are more important in this not so fast communication. Somehow it feels like getting reminded that it used to take weeks to get responses, to write letters and postcards to each other, which made communication more precious and conscious. So the distance is a big challenge but I think also creates a lot of opportunity. I don’t think it will be difficult to work with the students. I have met with the students and I’m really excited to jam with them. I think that it’s going to be an interesting challenge to have this group of students reaching out to people at the university and navigating and mapping it out. I think that’s going to be an awesome challenge. The actual work, I think, will come easily, if we get good questions and we get good topics I think everything will fall into place. The challenge is to make sure that we identify this and come up with a good map between now and November and then to March or April. How do you interact with students, researchers and other key staff? It’s a combination of ways really, isn’t it? Zachary Lieberman: The most important thing is developing, having face to face relationships. Then we have email, phone calls and skype and so on, but that face to face relationship in the beginning is really crucial. For me that’s extremely important. I even want to spend some hours with students this week to get to know their names, and their background and what their passion is about. I want to know what they are interested in and I want them to get to know me, so that we can go back. And that when I go back and work remotely, that we are able to jam and coordinate and collaborate and I don’t think that can happen without face to face. Lubi Thomas: I couldn’t agree with you more, I think it absolutely is the base established for everything, isn’t it? Zachary Lieberman: Yeah, it is. So much about our communication is about email and other electronic ways which are really not very personal. It’s hard to understand tone and feeling. For me that’s a very important part of this project. I don’t think you can do this work without having an initial trip like this to understand everybody’s personalities and get a feeling of who they are and for them to get a feeling for who you are. That’s why I am asking for this when I come here for the first time. Lubi Thomas: And that has played out crucially this week, we have gone from a lot of apprehension to actually just getting people to hang out with you and they have gone 180 degrees. Zachary Lieberman: Yeah exactly, that is about really meeting and understanding, understanding where people are coming from. It’s kind of abstract if you say that this artist-in-residence is coming, here’s the URL, here is some Bio – it’s still very abstract.